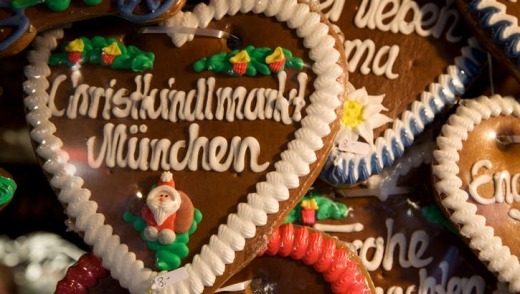 There's nothing like a white Christmas in Europe, as Brian Johnston discovers in Munich. Munich in winter is a film noir set of wet cobblestones, pewter skies and dark figures in overcoats, lurching down shadowed alleys. Baroque statues lurk on street corners like detectives on a stake-out. It could be an urban landscape to make you melancholy, but small pleasures are only magnified by the sullen clouds and long evenings. Gingerbread hearts at a Christmas market. Mandarin oranges glow from fruit stands, festive lights blink, church bells clang. Bakeries are warm with creamy promise. Locals pedal to work in knotted scarves and old gentlemen walk the parks in heavy loden and felt hats. Teenagers still sulk on church steps. Local life continues regardless of winter, and only tourists stay away. There are shorter queues and hotel bargains. Layer up and you'll be fine, but avoid joining tour groups: you'll be miserable stomping your feet as guides drone. Munich in winter is for walking and walking. When your ear tips tingle, duck inside to feast on goose or dumplings as steam rises from damp woollens. In December, Christmas markets are reason enough to be in town. The biggest, on Marienplatz, is anchored by a 30-metre Christmas tree and overlooked by a flamboyant town hall where carollers chorus from the balcony. Locals emerge from the U-bahn's escalators into a light-twinkled heaven that smells of cinnamon and roasting chestnuts. Don't suppose you'll miss the fun if you're here after Christmas, however. Just around the corner, the wonderful Viktualienmarkt stays open all winter. Stalls are piled with cabbages, root vegetables and improbable mushrooms, flower stalls with decorative wreaths of dried lavender, red ribbons and wheels of candied orange. 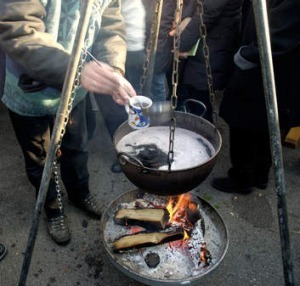 You can counter Jack Frost with hot mead from the honey stall, or schnapps, or Sicilian tomato soup. Locals still sit outdoors in the beer garden, swaddled in grandmotherly knits and enjoying pickles and sausages under denuded chestnut trees. The Viktualienmarkt has a rustic charm that suits Munich. The high-tech city may be home to Siemens and BMW, but its folkloric spirit and village atmosphere remain, and seem especially gemutlich (cosy) in winter. Perhaps this is the legacy of Bavaria's jolly former rulers. Wilhelm IV had a liking for beer and enacted beer purity laws now applied across Germany. Ludwig I launched the Oktoberfest and had a scandalous affair with exotic dancer Lola Montez, while Ludwig II built improbable castles and doted on swans. Various royals now lie in surprisingly simple wall niches in the crypt of the Frauenkirche, whose landmark twin domes are said to resemble overflowing tankards of beer. Royal extravagance is on show at the enormous Residenz, where you can goggle at emeralds and rubies and the ornate nonsense of the Cuvilles Theatre. Baroque absurdities and gurgling radiators are soporific, but you can revitalise at the Residenz's Christmas village in the courtyard, where mountain folk blow on alpine horns. Glassblowers and goldsmiths demonstrate their crafts, and kids howl at the horror of a bearded St Nick. Afterwards, retire to Luigi Tambosi am Hofgarten on the square outside the palace where fir trees are sold in the lead-up to Christmas. The cafe occupies the sunniest corner of the Odeonsplatz, with outdoor seating warm enough even in February, at least when the sun is shining. Through the arches is the vast English Garden. If snow has fallen, it provides lovely winter vistas. Long-shanked locals swish past on cross-country skis, and there's a Christmas market by the Chinese pagoda selling Lebkuchen, little honeyed cakes studded with almonds. Kids whirl around on a carousel in a blur of lights. Even when the lake is frozen solid, Munichers sit outdoors at the Seehaus beer garden, warming themselves on bouillabaisse. 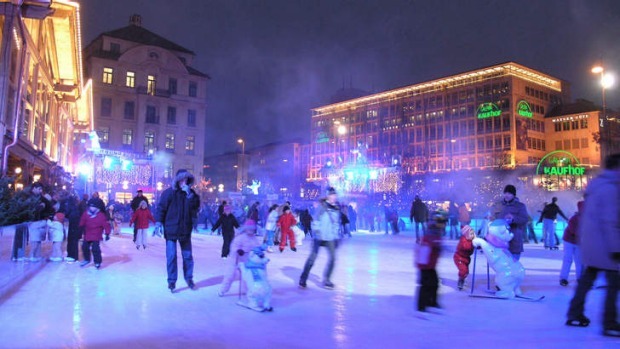 You can ice skate on the lake, but you'd be better off heading to Karlsplatz, which is given over to an ice rink until mid-January. You can hire skates for a few euros and sip gluhwein at the surrounding food stalls. If you have time though, head out to the frozen canal in the manicured grounds of the Nymphenburg, seven kilometres west of the city centre. For all the downsides of winter in Europe, twirling on the ice in front of a baroque palace, as icicles glint on trees and kids giggle, is a great experience. As for those long evenings, what better time to visit Munich's beer halls? The best-known is the venerable Hofbrauhaus, a brewery founded by Duke Wilhelm V of Bavaria in 1589. The surroundings aren't regal - no rococo, only cavernous stone arches - but the massive one-litre mugs are fit for a king. In summer, the place is full of Americans and Australians; in winter the convivial crowd is more German. Patrons cram a dozen to a bench, munching on sliced radish and boiled pork knuckles. Brass bands trumpet with gale-force oomph. You'll soon be linking arms and attempting drinking songs with all the gusto of a Bavarian prince. Nothing like a bout of Lederhosen-slapping to get the blood circulating again, and chase away the winter blues. The writer travelled courtesy of Etihad Airways and Magic Cities of Germany. Etihad flies to Abu Dhabi (14.5hr) and Munich (6hr 30min). 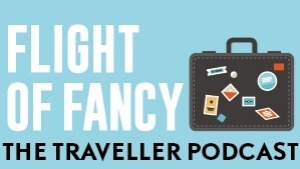 Return economy fare from $1776 from Melbourne and $1791 from Sydney including taxes. Phone 1300 532 215, see etihad.com. Munich Marriott Hotel is located in trendy Schwabing. The fitness facilities and Thai health club may be the best in Munich. See marriott.com. For traditional Bavarian fare, Palais Keller features creamy veal and fish dishes accompanied by mugs of beer. See bayerischerhof.de. Boettners has light, elegant fare and particularly outstanding desserts that have wowed guests for more than a century. See boettners.de.